There are few things that can compare to the pride a father feels in his heart when his “little” girl walks down the aisle in her beautiful wedding dress. Only a father can say what it feels like to hand your girl to the man who promises to be there for her from now on. But what if you are a bride whose father has already passed on to the Great Beyond? Jeni Stepien must know what it feels for your father to not be there on your most important day as her father, Michael Stepien, was murdered 10 years before her wedding. His heart, though, raced for her on her wedding day beating in the chest of Arthur Thomas who walked her down the aisle to make her feel her family is complete again. He was transplanted Jeni’s father’s heart a decade ago and her family kept in touch with him exchanging letters, gifts, and calls. Needless to say, Arthur was welcomed with open arms by Jeni’s family on the day before the wedding. “What a greater honor could a person have than walking the daughter of the man who’s given his heart to him”, Arthur told the press. 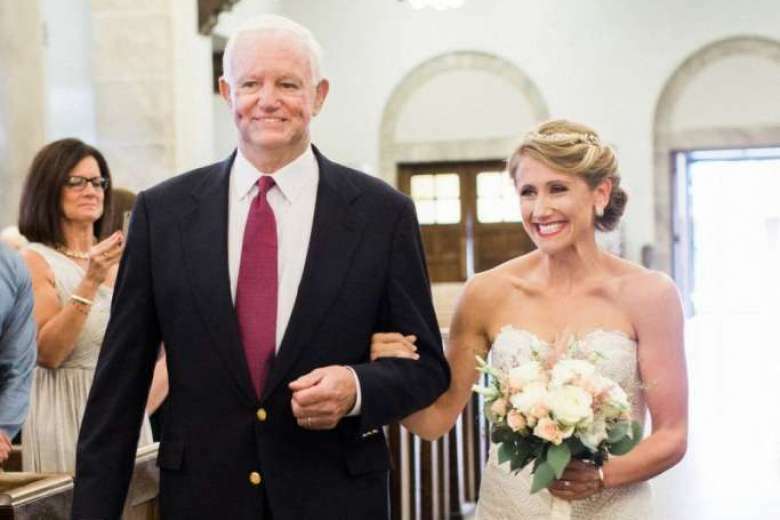 The bride couldn’t keep her emotions when she felt her father’s heart beating again and her sister, Michelle, added, “Just hugging him made me feel like I was close to my dad again which on this day was perfect. It was what I needed”.